Tarrywile was the perfect place for our wedding. The staff was very helpful throughout the process. 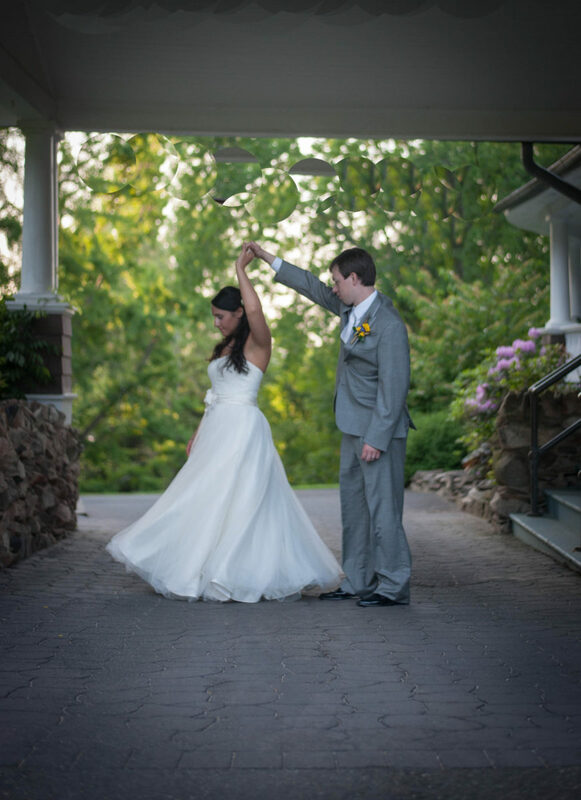 Our guests told us afterword that it was one of the most beautiful weddings they had been to. 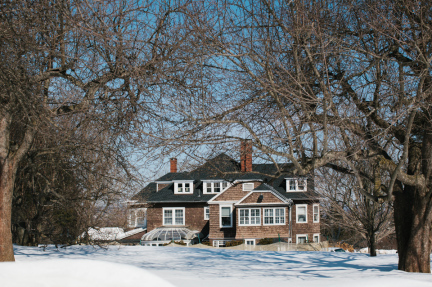 We highly recommend Tarrywile Mansion. Having our wedding reception at Tarrywile Park & Mansion was undoubtedly one of the best decisions we made about our wedding day. The park is beyond gorgeous, and the mansion itself is so beautiful inside it hardly needed any decorations the day of. We chose to have our cocktail hour inside the mansion and brought in a tent to put on one of the lawns for dinner and dancing. Anne was so helpful during leading up to the wedding and was always timely with her responses, and patient with us as we figured out the logistics of the day. On the wedding day, so many people complimented the venue and told us how beautiful it was. Because Tarrywile is not a “wedding factory” type venue, you have to do a little bit more of the planning yourself, but it is so worth it to have such a UNIQUE and customize-able place. Do not hesitate to have your wedding here!!! They were easy to work with and made the day go as smoothly as possible. I would definitely recommend them for anyone’s wedding. Beautiful building and beautiful grounds for pictures! I am beyond grateful that I used the mansion for my wedding! Tarrywile is spectacular. Beautiful gardens, grape arbor and gazebo outside for ceremony and pictures. The Mansion truly is not your average banquet hall, really allowed us to customize a lot. Caterer recommended by Tarrywile was great and Tarrywile staff was so helpful. Awesome place. The venue was amazing and perfect for our wedding. 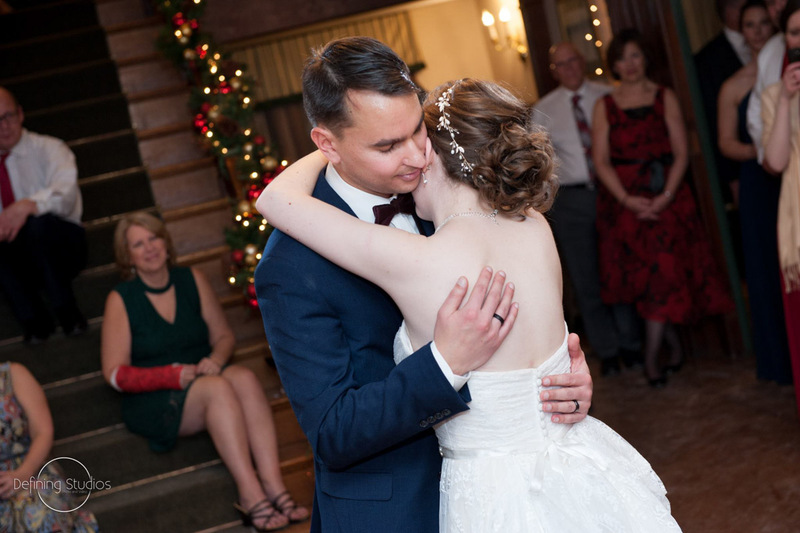 The house made our wedding feel more homey and there is so much character, we barely had to decorate! 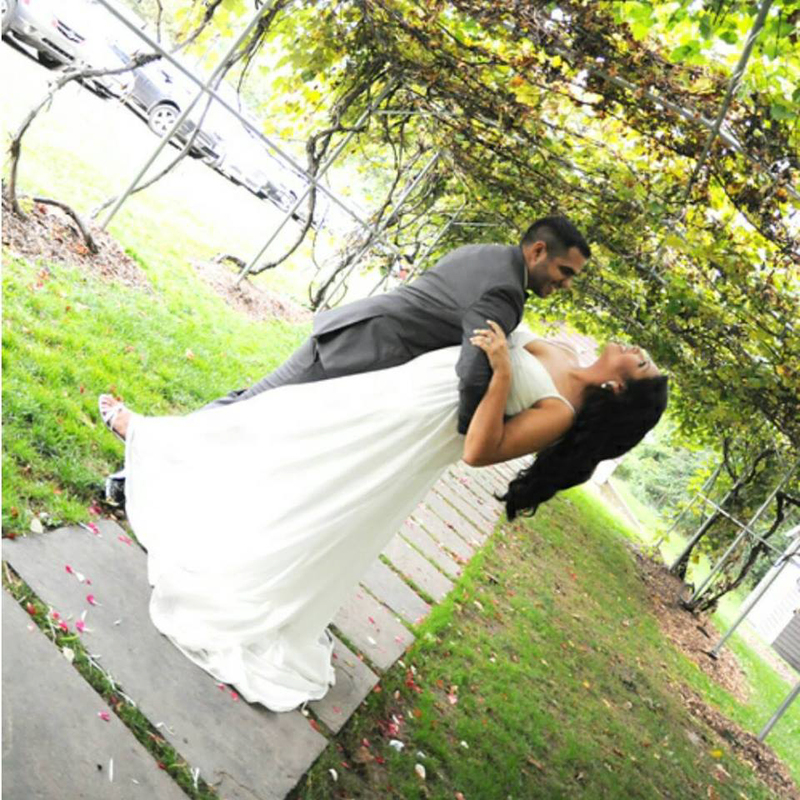 We got some great first look photo’s in the open field and the grape arbor was a gorgeous place for our ceremony! The Tarrywile Park & Mansion is an absolutely beautiful and amazing venue, would 100% recommend! Beautiful ceremony under the grape arbor and great staff to work with and great indoor reception space. 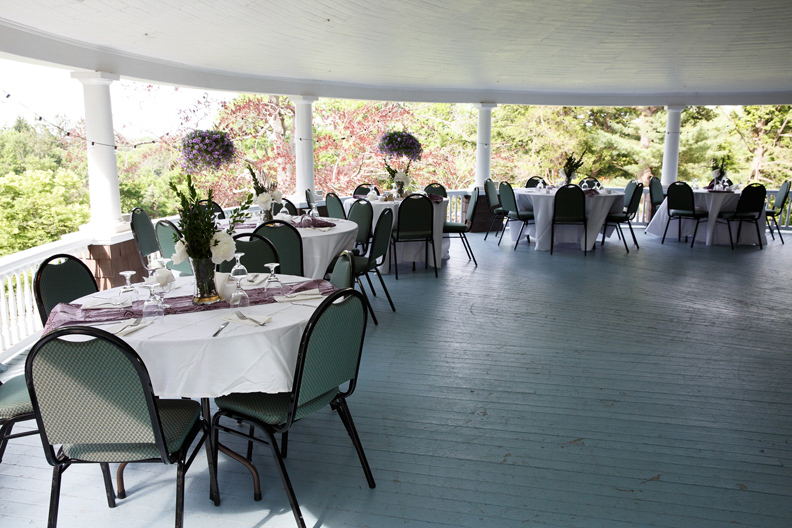 There is so much beautiful space on this property that you can really create any wedding you want. It was the most beautiful day of my life and this was the perfect place for my small 50 guest wedding, but there is plenty of room for more than that if that’s what you want. Searched all over CT and this is where we fell in love with, it was 2 hours from where I lived but totally worth the drive. Tarrywile was an absolutely stunning venue for our son’s recent wedding. Our son and his wife searched long and hard for the perfect venue for their wedding and they found it. The venue provides so many lovely spots to marry and celebrate love! Working with the Tarrywile staff and their preferred vendors was a wonderful experience. They were helpful and professional throughout the planning process. This was especially important as they were planning it all from southeastern Connecticut and Florida during their college breaks. The grape arbor was the setting for the ceremony, cocktails and hors d’oeuvres on the veranda, dinner in beautifully appointed rooms and dancing in the elegant foyer. Our guests loved the intimate ceremony and lovely reception spaces provided by the Tarrywile experience. Our children had their PERFECT day and we are very thankful to everyone at Tarrywile and their preferred wedding professionals. 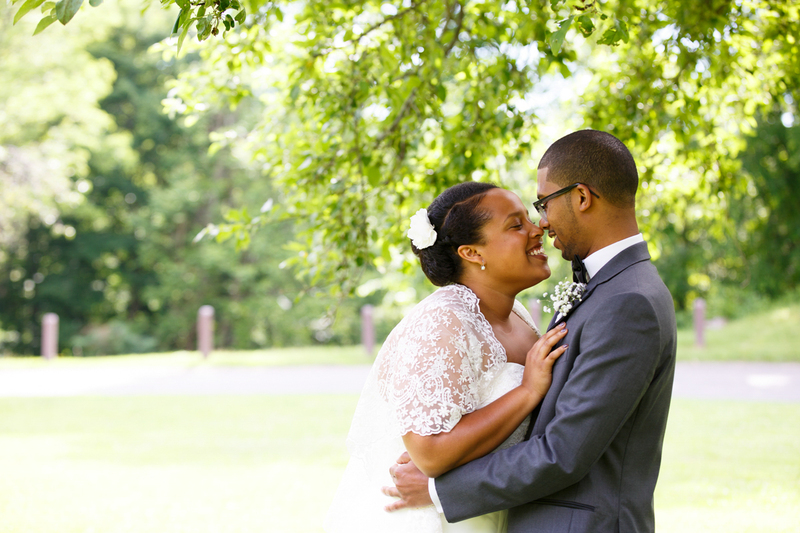 We cannot stop talking about our wonderful wedding experience at Tarrywile Park and Mansion. 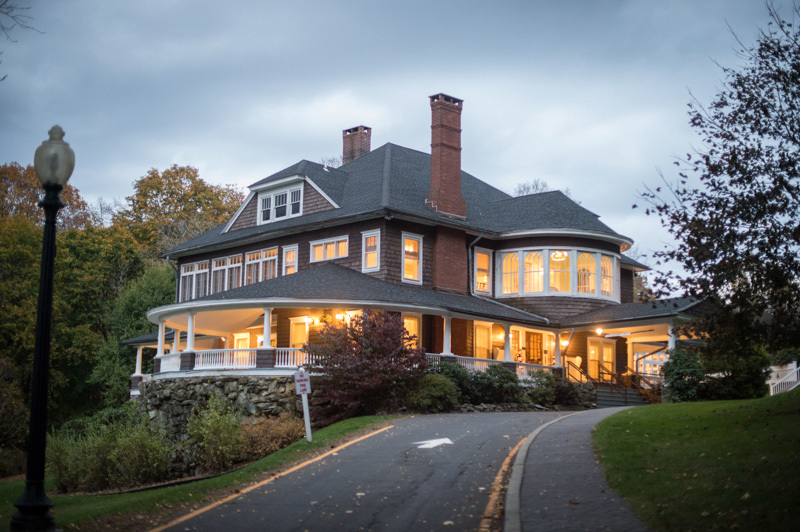 Who knew a “destination” wedding to Danbury, Connecticut could be so MAGICAL!?! Anne Marie was very sweet through the whole planning process and always responded very quickly. It was a pleasure to work with her and Tarrywile is a beautiful venue. 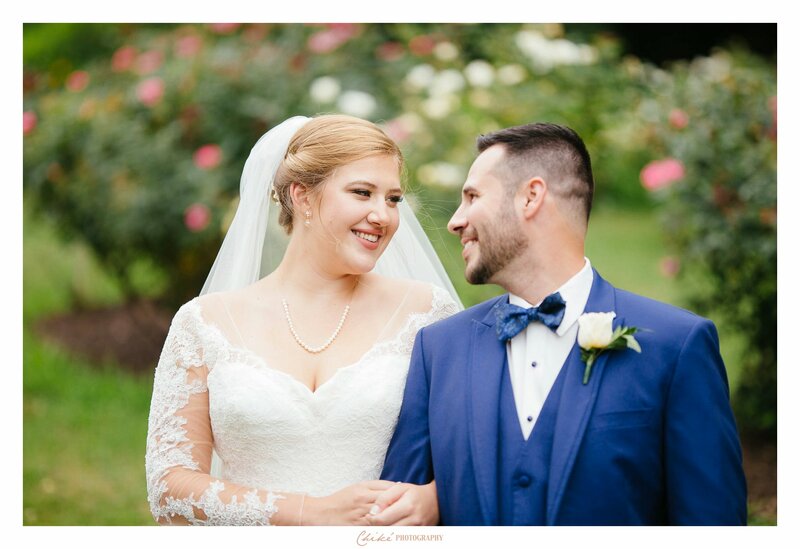 We got married this past June 24th at Tarrywile Mansion and my experience was absolutely wonderful. We came to Tarrywile in early May because our previous venue had been accidentally double booked and we were panicking! Tarrywile not only had our date available, but helped us expedite the process and ease our worried minds. They are extremely flexible and very caring. 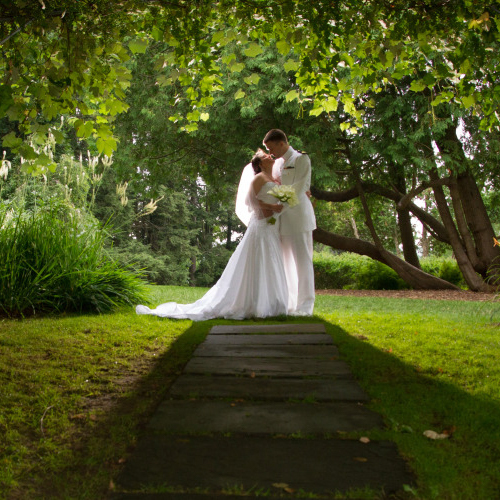 The grounds are gorgeous, and we utilized all of their outdoor and indoor spaces! My husband and I highly recommend them, and we thank Tarrywile from the bottom of our hearts. My daughter and son-in-law chose Tarrywile as their venue and they made a very wise decision. Guests commented about how exquisite it looked as it was decorated beautifully for Christmas. 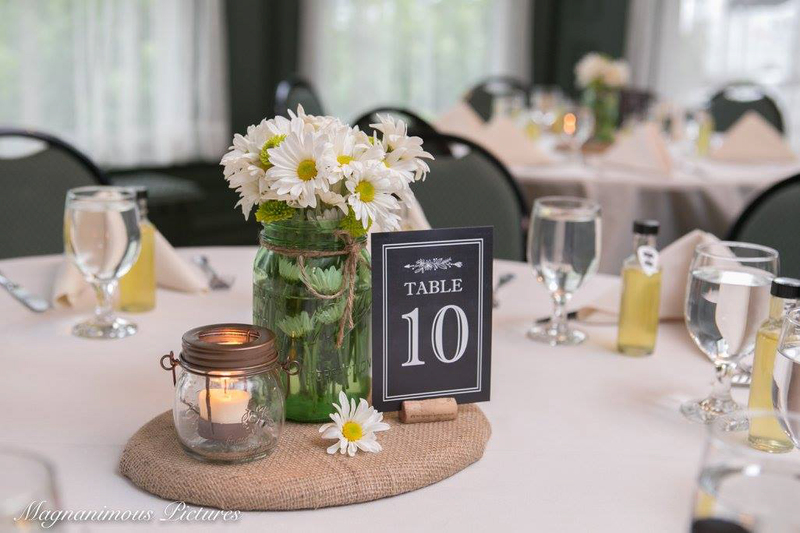 We were also able to add some decorations ourselves which really enabled the bride and groom to incorporate their own personal style into their special day. Throughout the cocktail hour as well as the reception guests moved freely visiting and talking while exploring the mansion at the same time. Those guests who chose to dance did so in a centrally located hallway where other guests joined in the fun. The bridal suite was absolutely beautiful! Tarrywile is highly recommended and has a full list of preferred vendors to help in your decision making. Make an appointment to look at it and envision your own special day! We could not have picked a more perfect location for our wedding. The staff was friendly, welcoming and ready to answer questions, and help in any way they could. 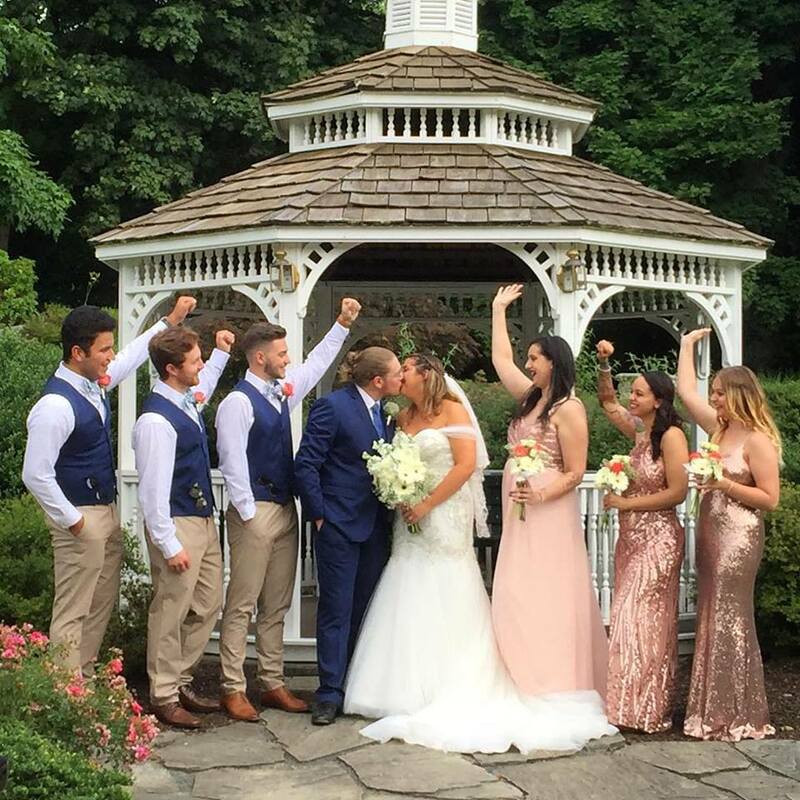 We loved having access to both a scenic outside which included a grape arbor and a gazebo and the mansion which ad a separate bride’s room and groom’s room. 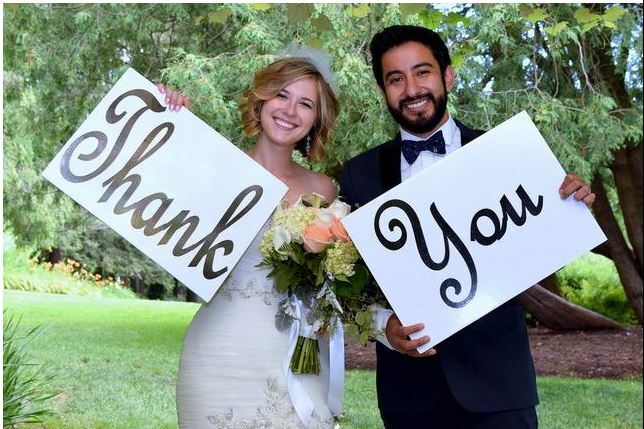 Thank you for helping to make our wedding perfect. I was able to have my dream wedding at Tarrywile. From the moment I stepped foot in the building I was able to see myself and my family celebrating and enjoying ourselves there. The building and grounds are beautiful during every season, making decorating a breeze as very few additional decorations are needed. The separate dining rooms and dance floor in the entry hall provide a unique venue for any celebration and made it feel like we were having a party in someone’s home. The staff at Tarrywile also made our day more enjoyable by being available for any questions and concerns leading up to our wedding. My sister was married at this incredible facility. Beautiful gardens, grape arbor and Gazebo meant fantastic photos. The Mansion itself is just beautiful and they were able to pick their own caterer to meet the budget. The staff at the Mansion were so helpful and always quick to answer questions and helped make her day just spectacular. My daughter just recently married here at Tarrywile Mansion. We could not have picked a better venue. Everything from the ceremony under the grape trellis to picturesque locations both inside and out on the property for photos to the airy veranda for cocktail hour and then intimate Victorian rooms for dining with a separate area for dancing the night away helped to make this day the most stunning wedding event. 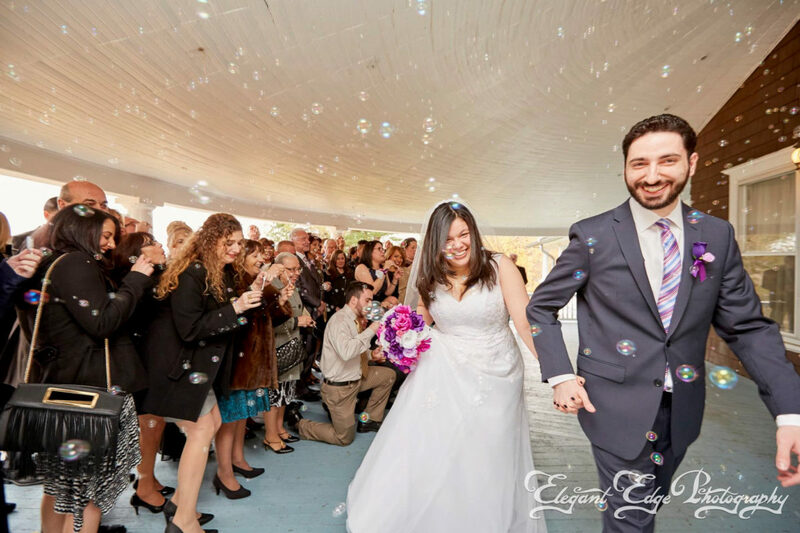 From the time we booked throughout the wedding day, they were available for questions and also offer the best for outside vendors to complete the day. 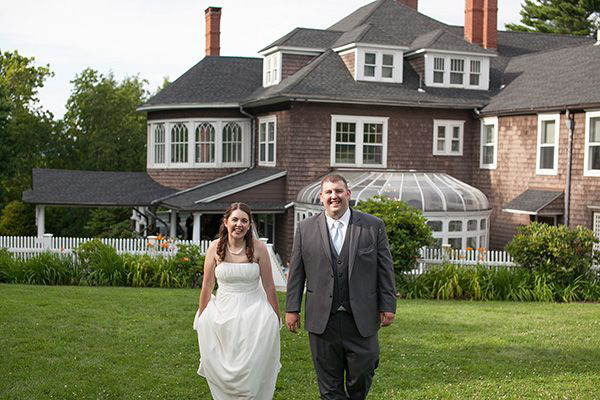 Our son & daughter-in-law were married at this beautiful venue. Staff was always very helpful. The ceremony and reception were both held here making it very easy for guests. Had preferred caterer list to choose from. Beautiful grape arbor tor the ceremony and the grounds provided beautiful picture opportunities. 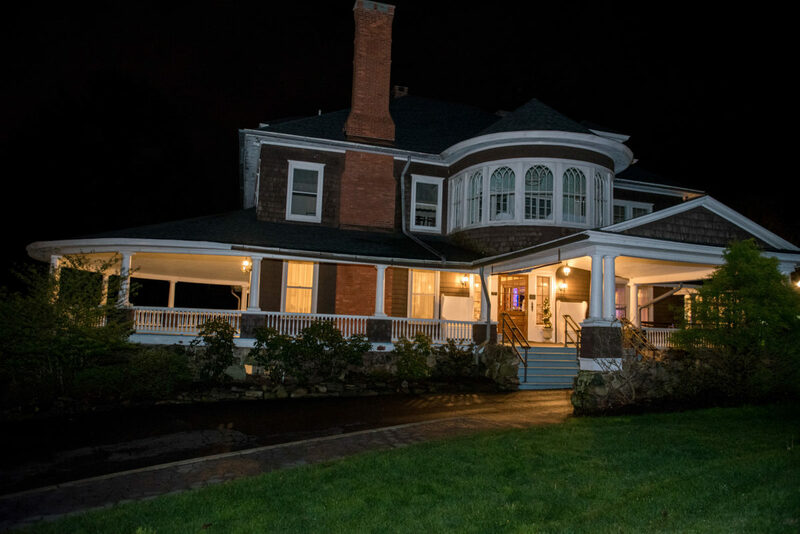 Mansion has incredible woodwork and lends itself to a very personalized event. What a wonderful day we had for Susan and Carlos on their wedding day. We could not ask for a better location. The grounds were just stunning. Everybody felt right at home at Tarrywile. The mansion had more than any other venue. 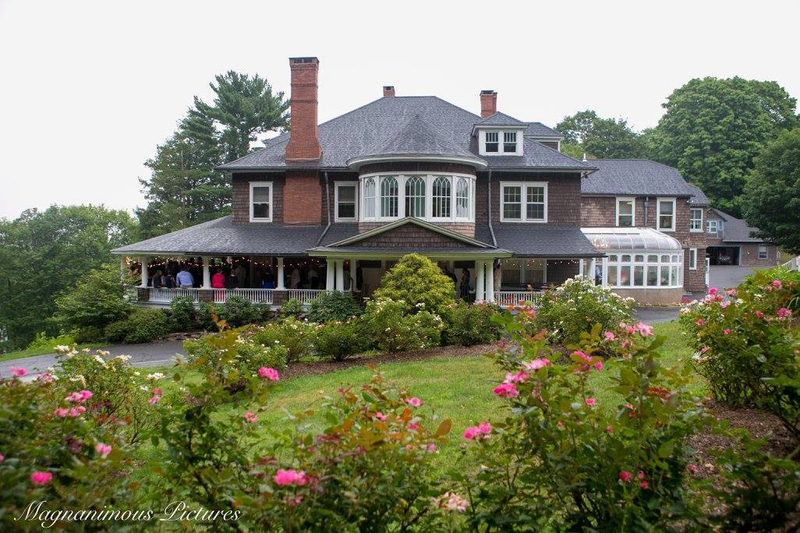 It had beautiful grounds for photographs, bride and groom suites to get ready, the front porch made for an elegant cocktail hour, and the sun room where the wedding ceremony took place. I would recommend this venue over and over again. We receive many compliments on both the mansion and the caterer you recommended. Thank you again for a wonderful day! I wanted to thank you and the whole staff at Tarrywile for the culmination of the most beautiful wedding for my daughter Margaret, this past Saturday evening! I knew the venue was beautiful before the wedding day, but seeing it decorated, tables set and that some kind of magic falls upon a wedding, was stunning to behold. Our guests, more importantly our bride and groom, were mesmerized. All seemed to go so smoothly thanks to Carriage House Events and Catering. We are forever indebted to your recommending them as a preferred vendor who knows Tarrywile inside and out! Thank you again for all your assistance from start to finish – a year+ in the making! We just had the most romantic, fantastic wedding ever at Tarrywile Mansion. I can’t say enough how wonderful the setting was, and how many of my guests gushed about the mansion, grounds, and especially the veranda. We had our ceremony under the grape arbor right before dusk. It needed no extra ornaments, it was so beautiful as is. Our bagpiper played to the side as guests mingled and took their seats, and he roamed the grounds playing while they adjourned to the veranda for cocktail hour. 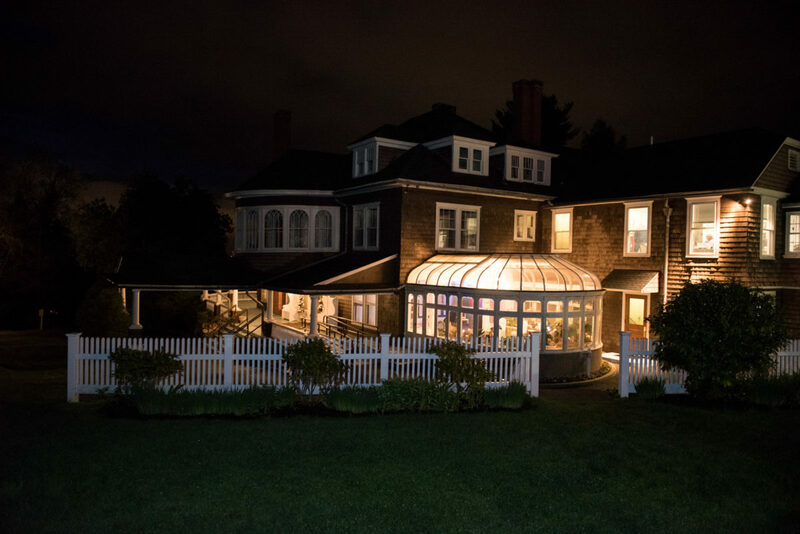 We took some of the prettiest fall photo’s with our photographer on the grounds after dark, inside the conservatory! We light it and the veranda up with tinkling lights and it was just…perfection. We used the various rooms inside the mansion and on the veranda to fit our 100 guests, and it was so intimate! Everyone gathered in the foyer to watch our first dance and to see us descend the stairs and be announced. The kitchens our caterer used were clean, spacious, and professional. He made all our food on site and it was so flavorful and delicious! Honestly, I will carry the memories we made forever…Tarrywile was my first choice, and we were so lucky to have been able to have our wedding here. You couldn’t do any better! What a stunning place for a wedding. The weather being perfect that day did help, but honestly all of the preparation was made simple by those who run the Mansion. Big shout out to Anne-Marie specifically who assisted with all our questions. The day was exactly as we expected and ALL of our guests were so impressed. They continue to compliment us on choosing Tarrywile Mansion for our special day. THANK YOU to all the staff there!!! We had such a wonderful experience with Tarrywile. We worked with Anne-Marie in the process and she was helpful, kind, and always got back to us right away. 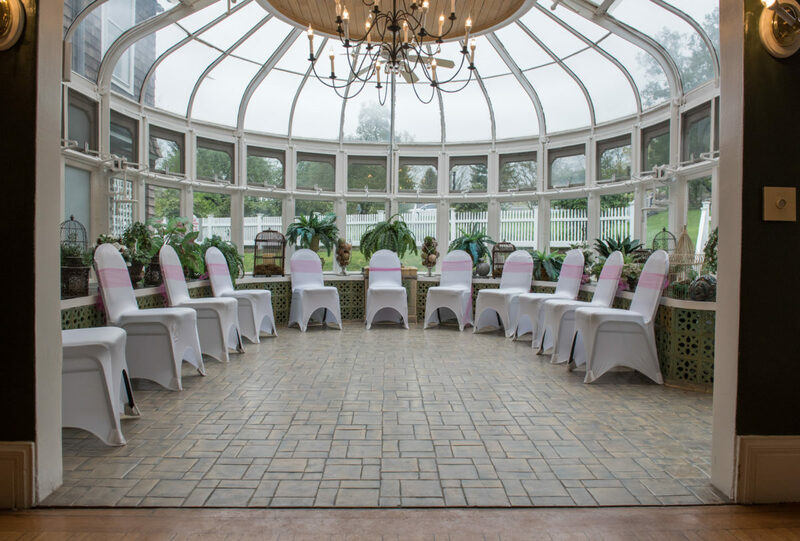 The grounds are beautiful; there are many beautiful indoor and outdoor spaces to work with for both a ceremony and a reception depending on the weather. Definitely recommend! We just wanted to thank you for all your wonderful help in this process! You were always so kind, patient, and helpful with all my questions. We had such a wonderful day and everyone kept telling us what a beautiful venue we had chosen. Tarrywile park and Mansion is THE place to get married! We decided on Tarrywile because of its beautiful outdoor features including, the grape arbor we had the ceremony under, the gazebo we took photos at, or the small pond that we took our our engagement photos at. Besides the scenery, Tarrywile is really the place you can customize your wedding. you can use their preferred list of caterers, photographers, and other vendors but you can also make it your own of their list. We decided to use 2 different food trucks, and with Tarrywile’s flexibility, we were really able to make our wedding exactly what we wanted. One thing I do suggest is to use a set up/clean up/wait staff service that comes before, helps throughout and cleans up for you. Don’t think twice about Tarrywile – it’s the way to go! 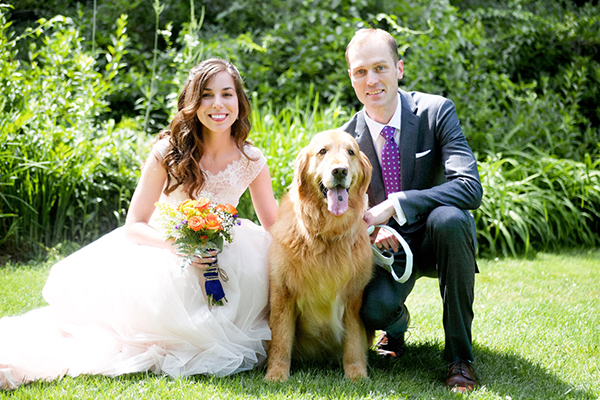 Thanks so much for all your help in making our big day happen! Everyone just loved the Tarrywile Mansion. It’s the perfect unique location we were looking for! Thanks for all your assistance along the way! We used the mansion for 4 hours and could not of been happier!! There was plenty of room and our event turned out beautifully. We planned ahead of time where tables would go and had them set up for us and down. The people are easy to work with (Anne-Marie) and will accommodate to your needs, I will definitely be using them again in the future. Response time and communication about anything is FAST! They are very understanding and want you to enjoy YOUR day. Thank you for making our event wonderful! Where do I begin?! Tarrywile was the absolute perfect venue for our vintage wedding. Wedding date was May 20 for 90 guests. 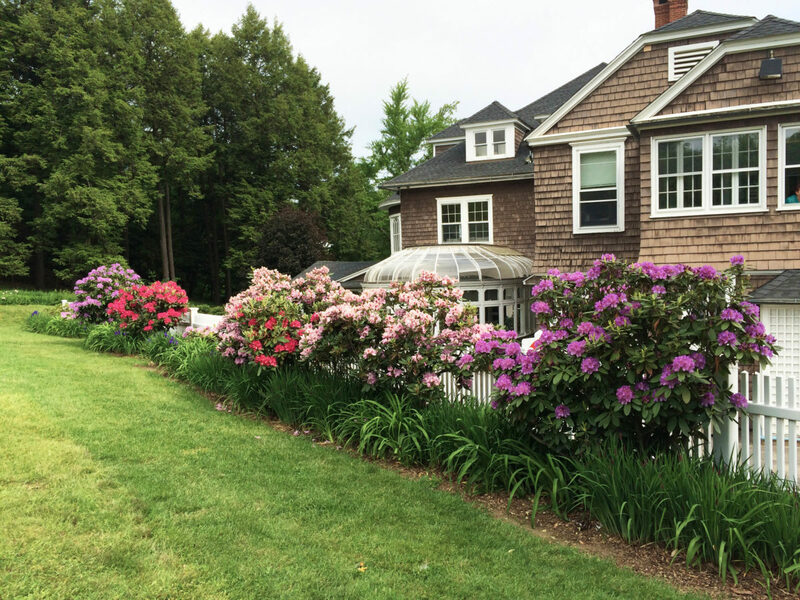 Flowers were in bloom and landscaping was well kept. Anne-Marie and staff were responsive to emails and calls. They even accommodated for my family and planner to be able to decorate the day before. We went with all their vendor recommendations and were not let done at all. I got endless compliments on our venue choice. It felt intimate and welcoming, like you were celebrating at someones home. Not your basic hall or barn wedding. Tarrywile gave our wedding a unique and timeless feel. We had our wedding at The Tarrywile Mansion on 6/10/17. Perfect venue. Beautiful setting. Great staff! Of all of the many decisions and choices to make when planning a wedding the easiest, best, no…perfect choice was Tarrywile Mansion. The staff was wonderful, the grounds are beautiful, and the mansion is pristine. If you want to feel like you stepped back in a beautiful moment in time, if you want a unique setting that you can put your personal touch on then Tarrywile Mansion is the place to be. It was the most beautiful setting for a baby shower. I’m just not sure of the actual date it was…..The baby was born January 31st, 2013……It was either in October or November of 2012…It was perfect. 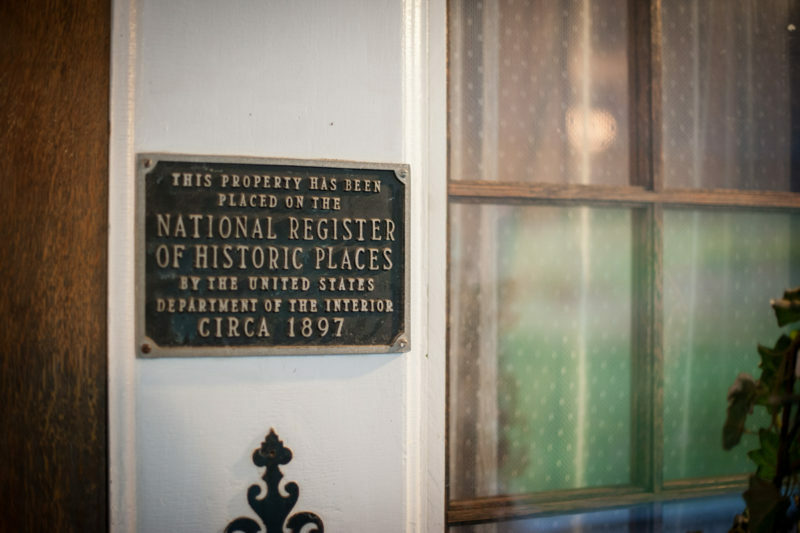 The historic and well cared for mansion and property is full of charm. 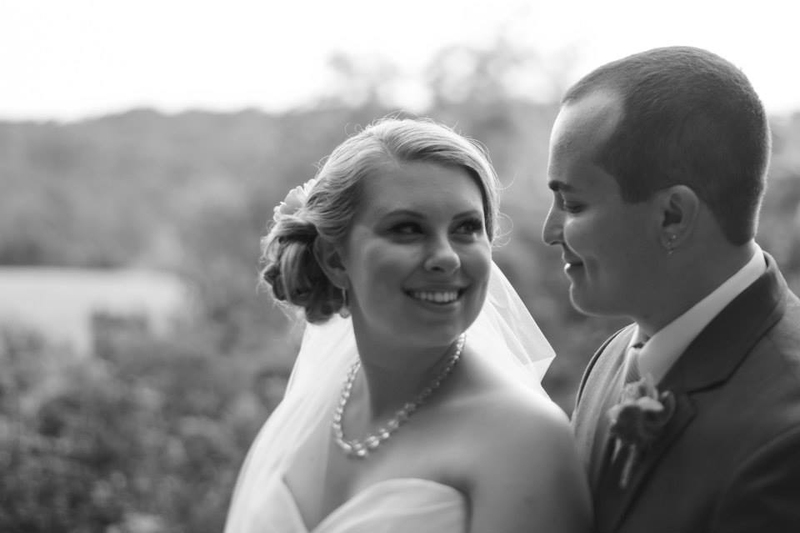 Our family and friends were able to experience a variety of scenery through out our wedding. Our wedding ceremony was under a blooming grape arbor, cocktail hour was through out the entire mansion, including the conservatory and veranda. Our reception was under a large tent adjacent to conservatory and grape arbor. 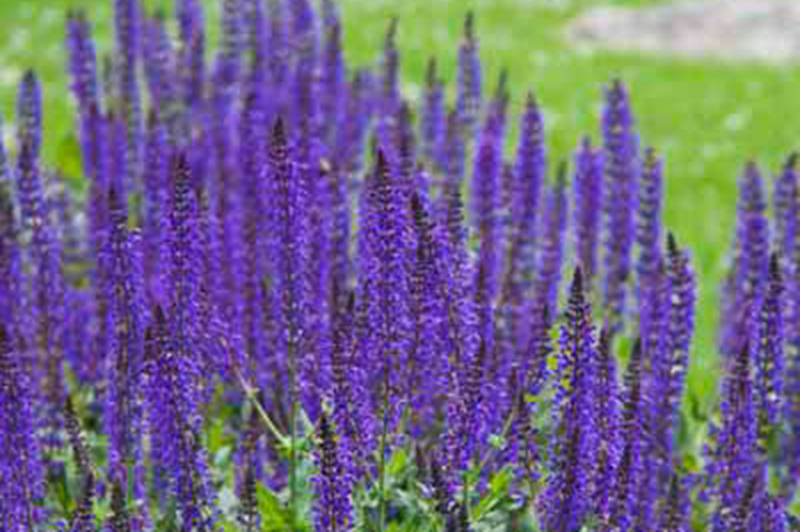 Pictures were taken around an apple orchard, through out various flower gardens and around a gazebo. This vendor is well priced and the events coordinator was a pleasure to work with. I would highly recommend renting Tarrywile Park & Mansion for your future event, or just visit to hike and enjoy nature at its finest! 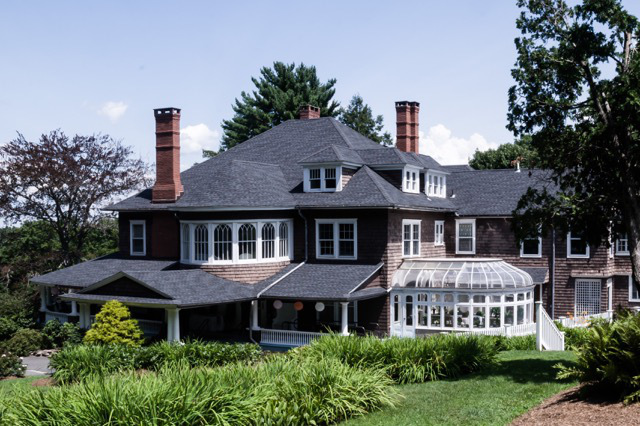 Finally I got a chance to email you to express out deep appreciation of the beautiful historic mansion and what you have done to make our dream wedding come true! No work could fully describe how happy and satisfied we are until today! It had been a smooth journey to work with you since the first day we came to the mansion. The moment we saw the mansion, Bin and I knew that was what we wanted. Its size is just enough to hold a big group of guests we have, and at the same time is still cozy and makes us feel like home. 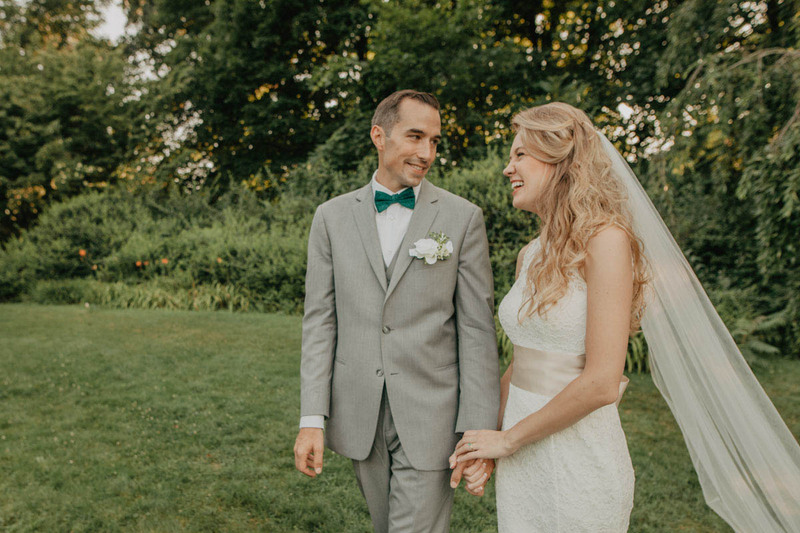 We are so glad that we had our ceremony during the most beautiful season in New England, and the weather that day did not let us down. And the style of mansion worked pretty well with Chinese traditional wedding decorations, which is amazing! They say a picture is worth a thousand words. So we are sending some wedding pictures. Although those photos are very nice, I want to say that the real beauty of the house on that day was even more splendid. Thanks again for working towards this wonderful memory! 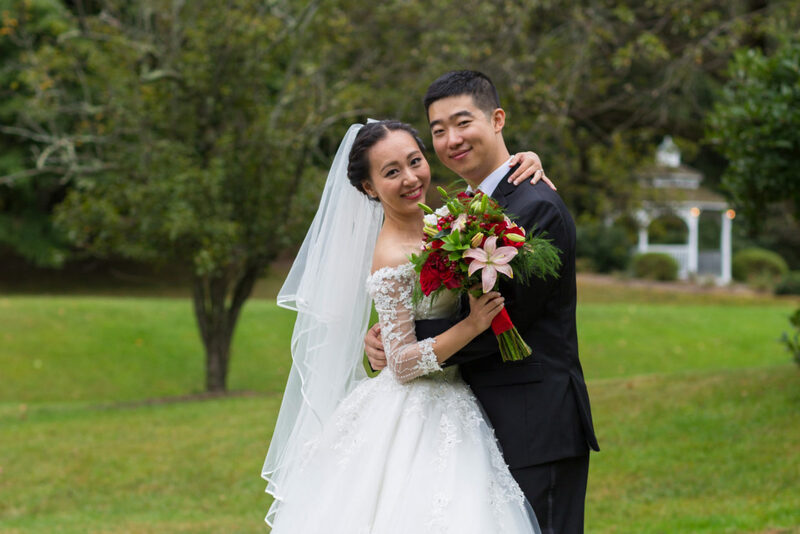 I am a graduate student, and my husband was also in school while we were planning the wedding. 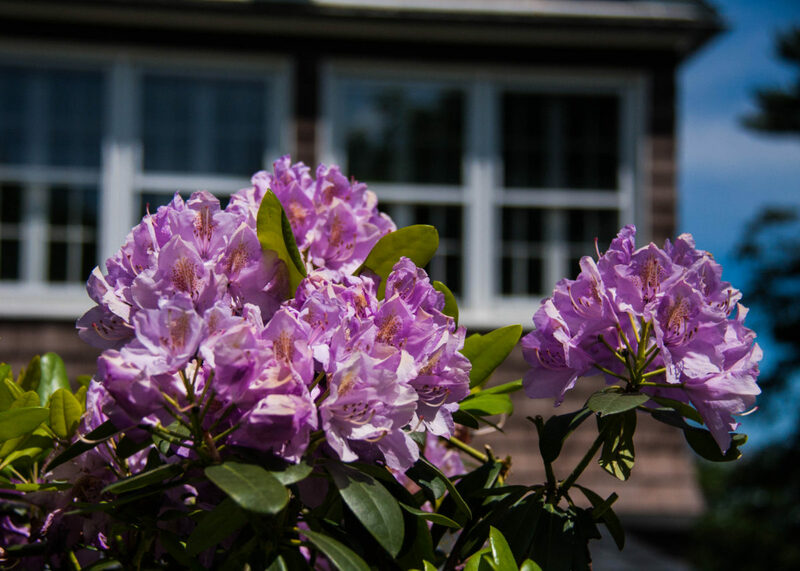 We wanted a quality location for a resonable price, and Tarrywile was the best choice in the Danbury area. 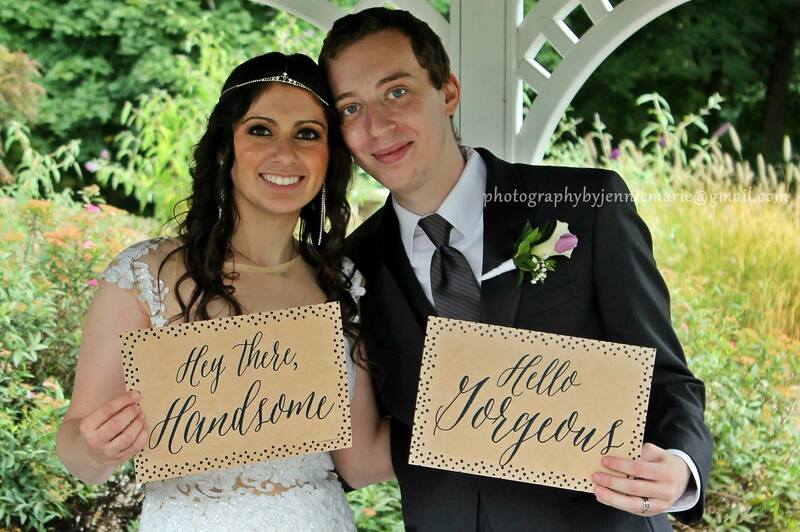 We had a garden-themed wedding. The grape arbor was a perfect ceremony site. All of our pictures looked lush and colorful. We had a wonderful wedding at Tarrywile Mansion. 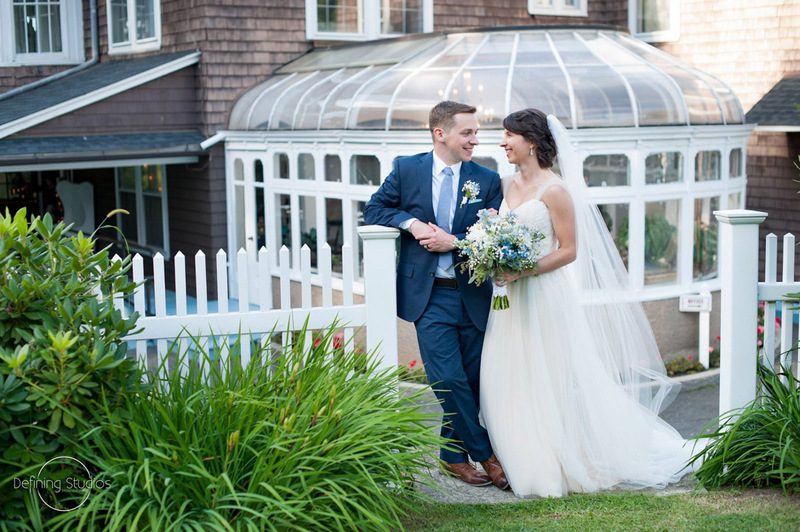 Our ceremony under the grape arbor could not have been more romantic, and the mansion provided an elegant venue for our reception. The mansion is gorgeous and tastefully decorated, so we didn’t have to do much additional decorating. 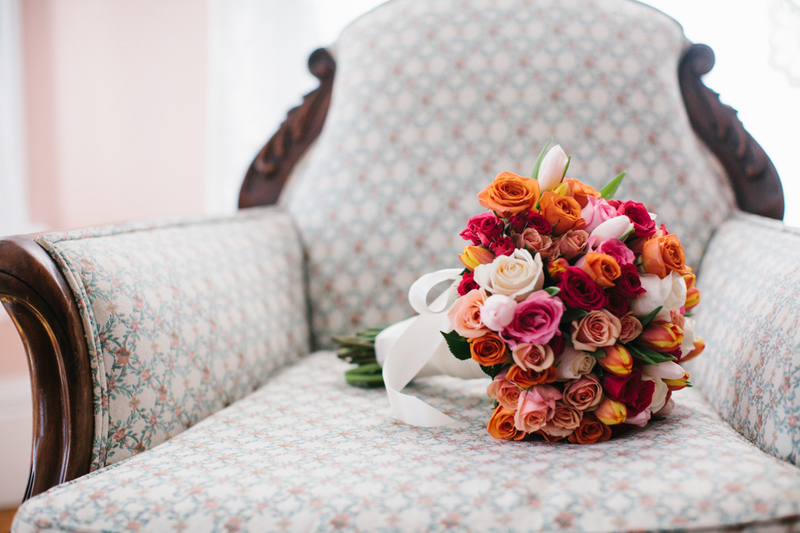 The bride’s and groom’s rooms are convenient and luxurious; they have their own private bathrooms. 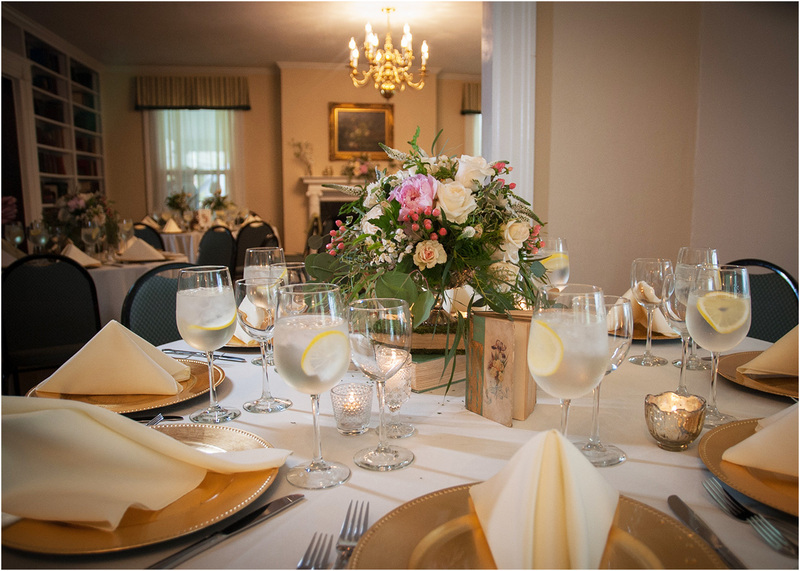 The layout of the mansion does provide some challenges, since there is no banquet room that can fit all of your guests. However, we liked the intimacy of the smaller rooms, and the floor plan is very open so it doesn’t feel cramped. We ended up putting the buffet tables in the hallway, leaving the drawing room open for dancing, and putting a few tables on the veranda for dinner. Luckily, we had our first dance in the conservatory with guests watching from the adjoining drawing room, the conservatory provided a beautiful backdrop for our dance. It also worked well to have our toasts right after the dances while everyone was still standing in the drawing room. Anne-Marie, the mansion’s event coordinator, was very accommodating and responsive to our questions throughout the planning process. She let us visit the mansion numerous times and she responded to our emails promptly. They have someone on-site during the event to make sure you’re following their rules, but she was very inconspicuous and I never saw her until the night was over. Also, the site fee was very reasonable compared to nearby locations in Westchester County. When we first learned about Tarrywile, we fell in love with it. This is a great spot for any event, but our wedding was perfect. We held the ceremony under the grape arbor which was in full bloom. Then our cocktail hour was on the veranda which was also very nice. Then our reception was inside the Mansion. So many people complimented us on what a beautiful Mansion it was, and wanted to know how we had found our about Tarrywile. My husband and I also love hiking the trails. Becky and Anne-Marie are so wonderful to work with, and are willing to do so much for the brides. This venue is affordable and is much more unique than a standard banquet hall. We loved our wedding at Tarrywile. I had my wedding here in June of 2013. It was such a beautiful venue, all of the guests really enjoyed the Mansion and veranda. The service was always quick and professional. Everyone at Tarrywile I worked with was friendly and organized. I really don’t have anything negative to say about the venue, it was everything that I wanted. The caterer I used really made everything happen and worked directly with the venue personnel. 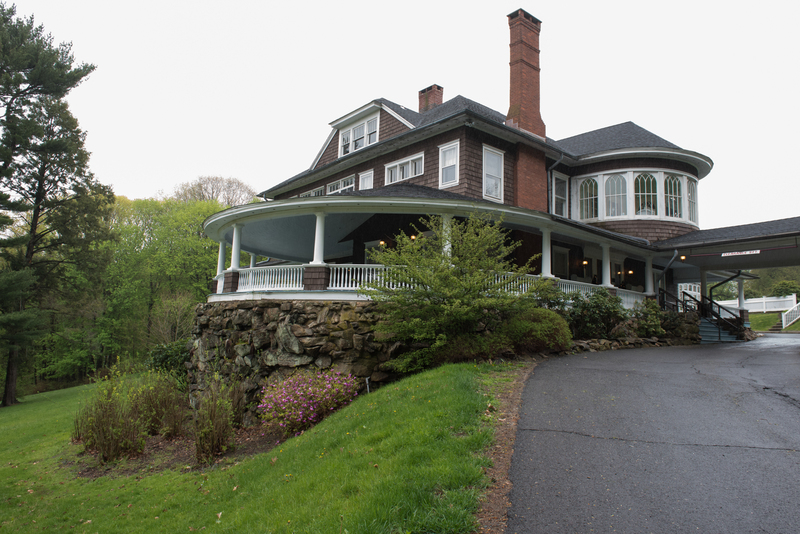 I would highly recommend Tarrywile Mansion as well as Carriage House Caterers. 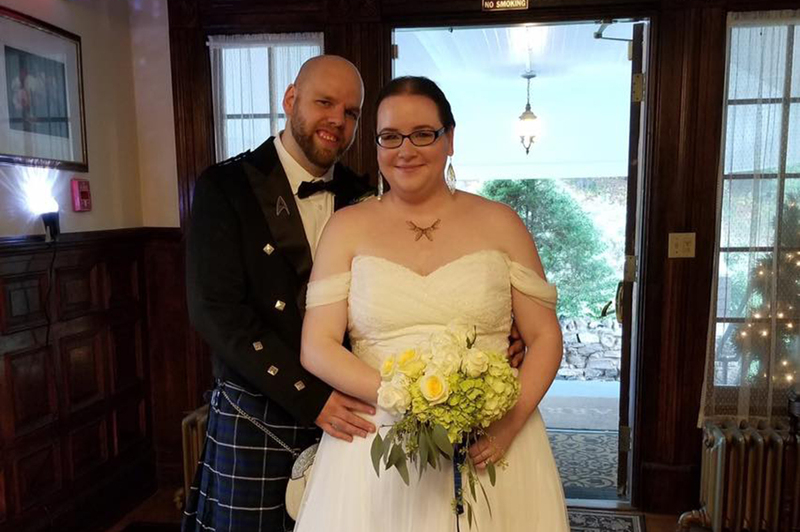 Last Saturday, September 28th, I married the most beautiful woman and my best friend at Tarrywile Mansion. We had the most amazing time and wanted to thank the staff of Tarrywile, for allowing us the use of the Mansion for our wedding. Every guest could not get over how beautiful the grounds were, and how unique the choice of venue was for our special day. We had an amazing day thanks to the staff, and would like to give special thanks to Becky, Anne-Marie, and Sammy. Thank you all again! This orchid is to express our appreciation to you and for your kindness, professionalism and personal interest you showed toward us during the planning and execution of the wedding of our son Peter. You were always available, along with your staff to answer any questions we had and to give us suggestions on how to best utilize the spaces for our event. 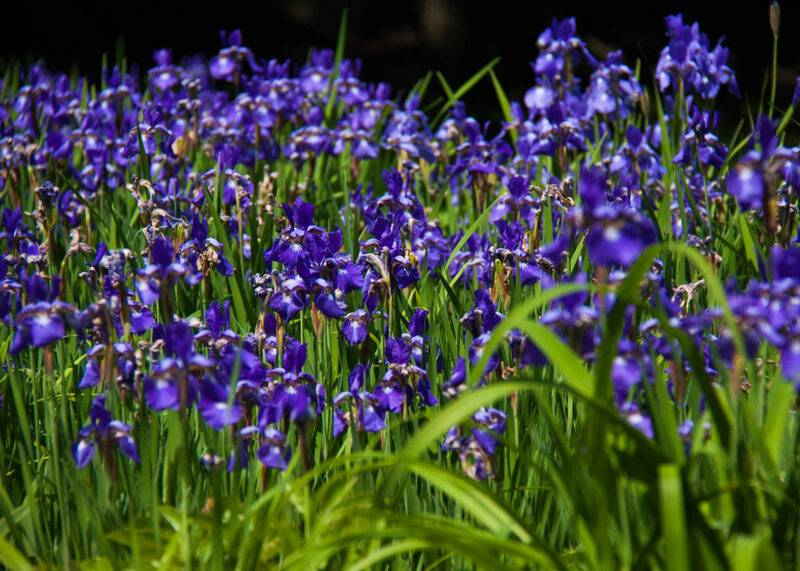 We are very happy that we selected Tarrywile last year for our event on Sunday! The weather cooperated so we were able to be married under the arbor and have our photos taken around the beautiful grounds. Our guests enjoyed the charm and history of the building, too. We are happy to have been able to marry at the site of your first date. Tarrywile will always hold a special place in our hearts! 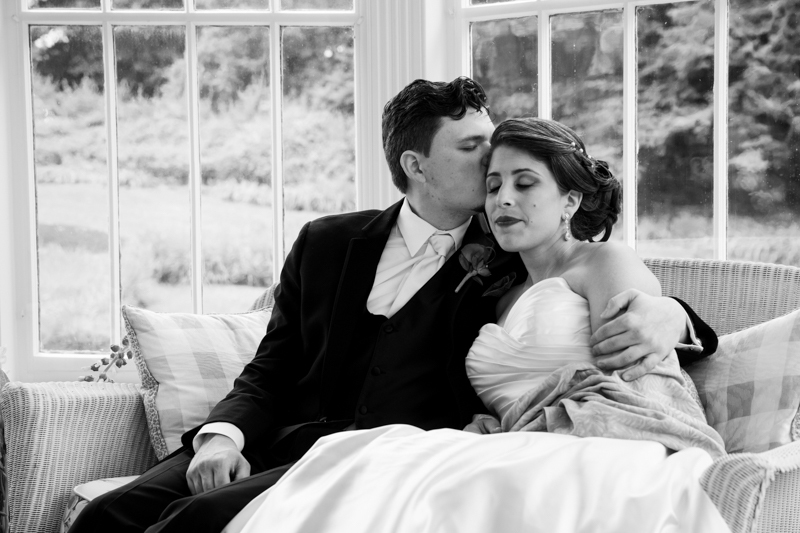 We recently had our wedding at Tarrywile Mansion and we are so happy that we did. Anne-Marie in the office was so easy to work with and made planning for a wedding much less stressful. The grounds there are beautiful for pictures and the mansion itself is so charming! At first I was unsure about having my wedding there based on the pictures online. Go see it in person before you cross it off your list. Everything was perfect! If you are looking for a caterer, I highly suggest using Carriage House Catering with Chris Angione. The mansion is one of his kitchens so he has access to the mansion the day before your event and he already covers the event insurance for the mansion. In addition, he is hands down the best caterer out there! (I should know after dealing with two who were less than professional. Third times a charm). Good luck on your event planning! 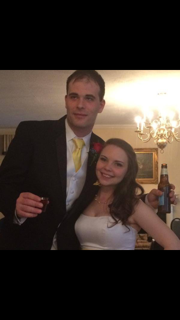 My husband and I had the time of our lives on our wedding day. It was the most beautiful vintage glam inspired wedding a girl can dream of. 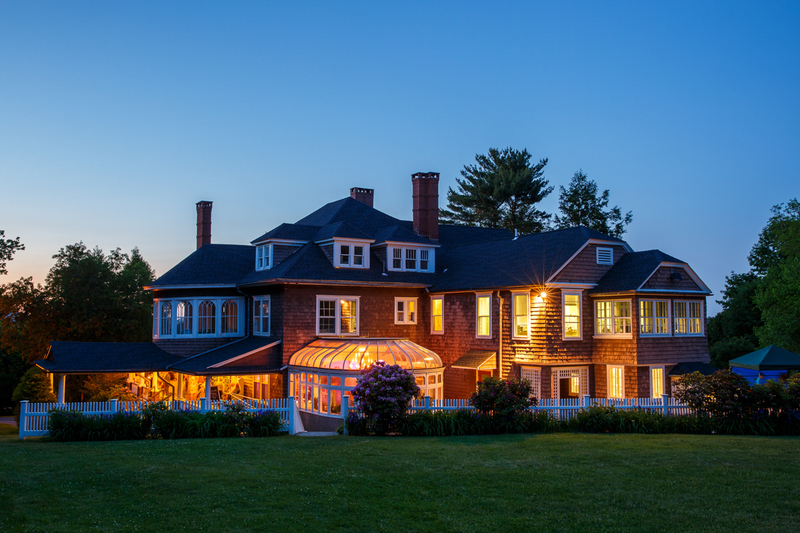 The Tarrywile Mansion & Park added a great amount of detail to our dream wedding and the staff of the Tarrywile were very professional and attentive. Anne-Marie, one of the event coordinators was a pleasure to work with from the beginning of our planning process. Everything was perfect! Two days ago I married the best person I know at Tarrywile mansion. The staff was extremely helpful and organized. They answered all 9 million of our questions and were always quick to respond to an email. If you are looking for a blank canvass venue it’s really a beautiful option. Charlene and I thank you so much. My June 13th wedding at Tarrywile Mansion was amazing. The Mansion is so pretty that we need minimal decorations. We had our ceremony under the grape arbor, so picturesque, and lawn games close to the Mansion. Kids and adults enjoyed hiking around the mansion on the day of the event. I would highly recommend Tarrywile to everyone! 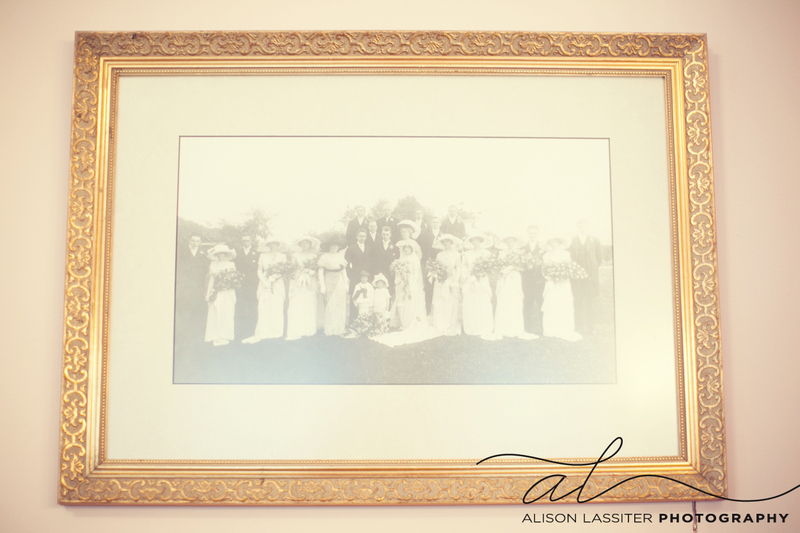 When we began our wedding story we wanted a place to tell our story as a family. Tarrywile offered just that. It as like inviting our closest family and friends to our home to celebrate our special moment. We were able to personalize every detail. 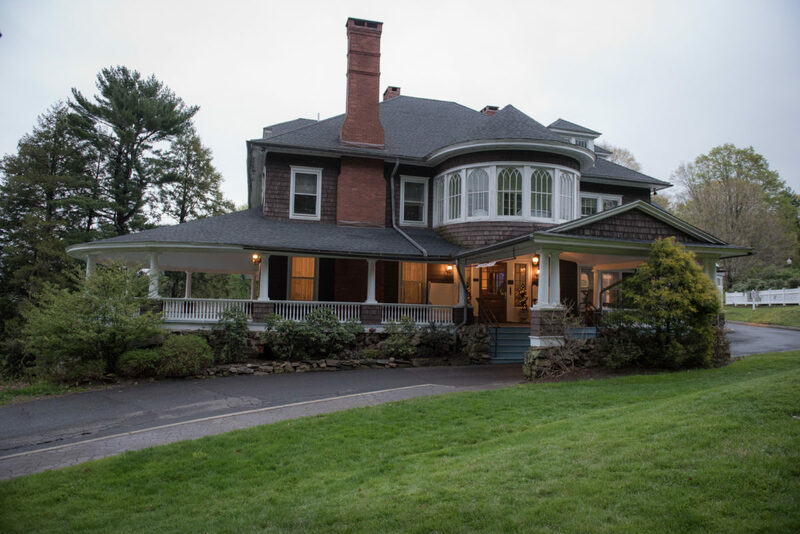 While giving a closer look into one of Danbury’s most beautiful landmarks. We cannot thank your staff enough. They were kind and always available to help us coordinate our wedding. The Mansion and staff are wonderful, I recommend it highly. I’m so happy we did our wedding there. 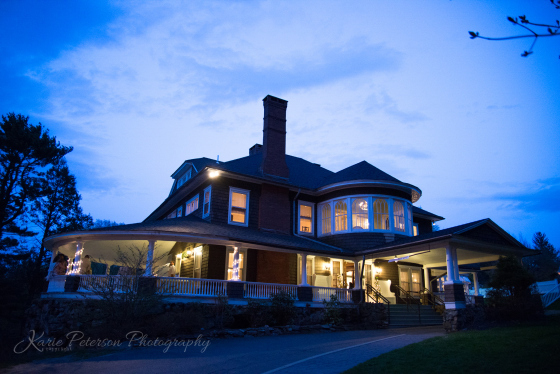 Just wanted to drop a note to let you know everything was wonderful at Tarrywile Mansion for our party. The mansion and grounds looked amazing, most did not realize what a jewel existed right in our back yard. We were lucky enough to have great weather, therefore, our guests were able to play lawn games, relax on the veranda, etc. Our caterer, Gallucci Caterers, were amazing, with set-up and clean-up and everything in between. 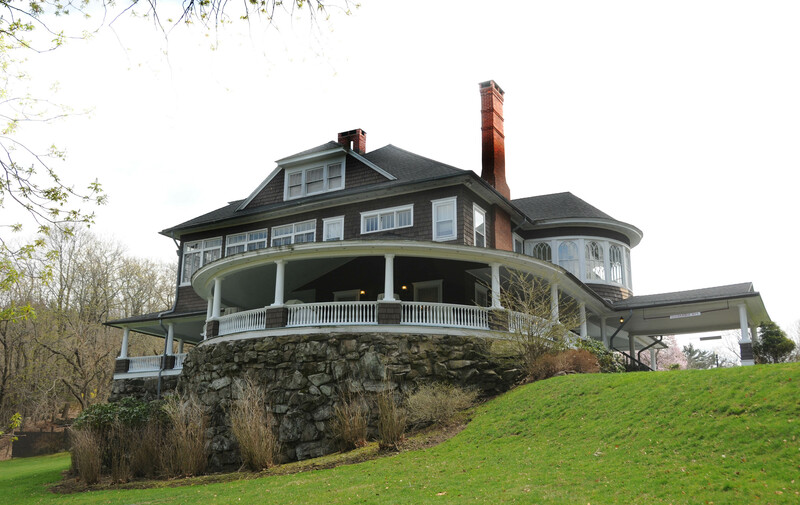 We chose the Mansion and Park for its beautiful location. 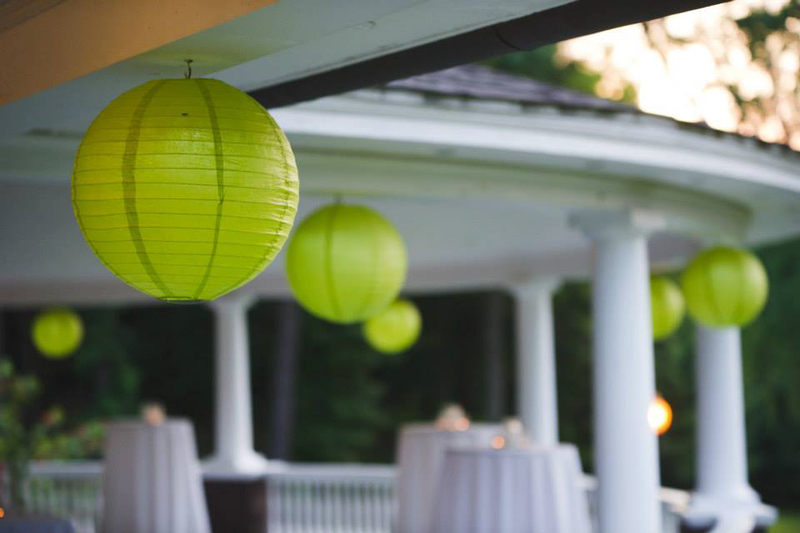 The covered porch area was perfect for a summer event – we chose to have our ceremony on the porch. The caterer, who had done many weddings at the mansion, made the whole wedding wonderful and worked with the Mansion and our requests – we had no problem whatsoever. Thank you so much! Amazing place, great environment, if you a nature lover the place to be, went to wedding outdoors and after ceremony, the mansion was well set, amazing place. Beautiful place, very spacious, my daughter got married there 4 years age. What a beautiful place! Only thing I wish they would restore the castle. Everything is so beautiful. . The garden and lawns. 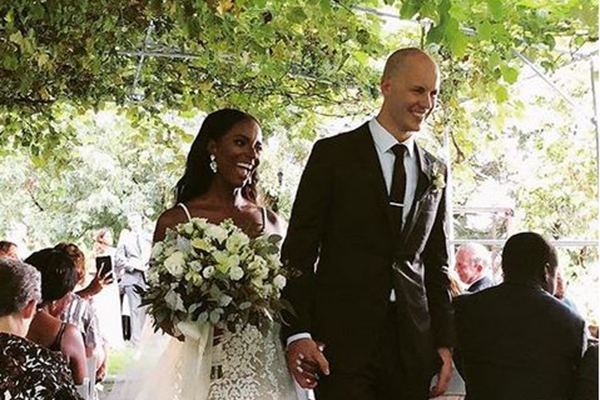 The wedding was beautiful as they were married in one of the gardens. Had our wedding there almost two years ago, A beautiful old place. Staff was wonderful. Becky was the greatest. Went here for a wedding, it was a beautiful location, plenty of parking. There was also hiking trails in the court yard. The inside was lovely and it was a great setting for such an occasion. Beautiful place for weddings. I am a big fan of this park and mansion. Whether you’re out walking, running or doing any event on the inside, it is always great to be there. The staff are the friendliest. I’m very glad of my experiences in there! We attended our nephew’s wedding 2 weekends ago at Tarrywile Mansion. Lovely spot in a park like setting. Charming mansion with a nice wrap around porch sitting on a small knoll. Not terribly fancy but quite charming. I don’t think a very large wedding/event would work there but the approximately 110 people had plenty of space to mingle. It was a bit too chilly to linger long on the porch, but I can imagine that in warm weather, it would be delightful. The staff were terrific and pleasant. A thoroughly enjoyable place to have a special event. We were there for a Valentine’s day Dance sponsored by the church we were attending at the time. The setting and decor were beautiful and if given a chance I would definitely go back again. My wife and I had our wedding here on May 7th. We enjoyed using the mansion and personalizing it to reflect our love for each other and the interests that built the foundation of our relationship. The hospitality that the mansion staff provided was excellent. They also provided a great caterer that knew their way around the mansion and grounds. 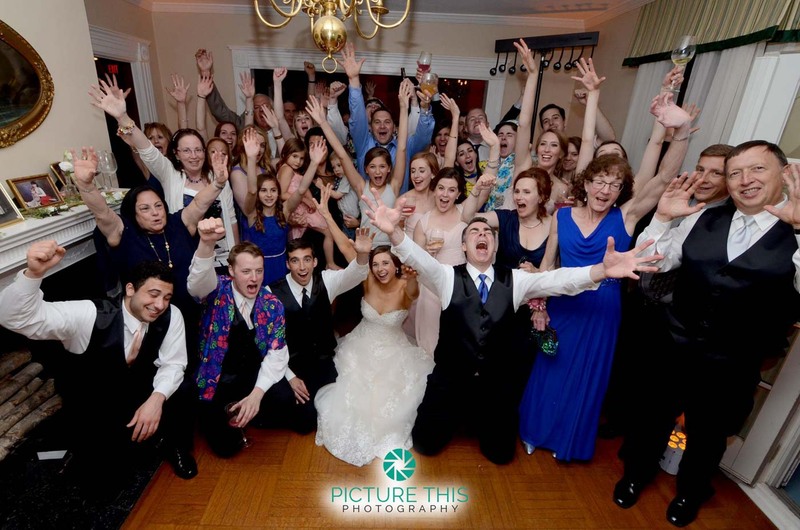 The staff gave us flexibility to choose a photographer and DJ that provided services above our expectations as well. Overall, our guest had a terrific and memorable time. We will definitely recommend this venue to anyone looking to think outside for their wedding planning. Beautiful venue with lots of space indoors and out. Tarrywile was the perfect place for our wedding this past summer, the setting was amazing and it felt intimate and romantic. 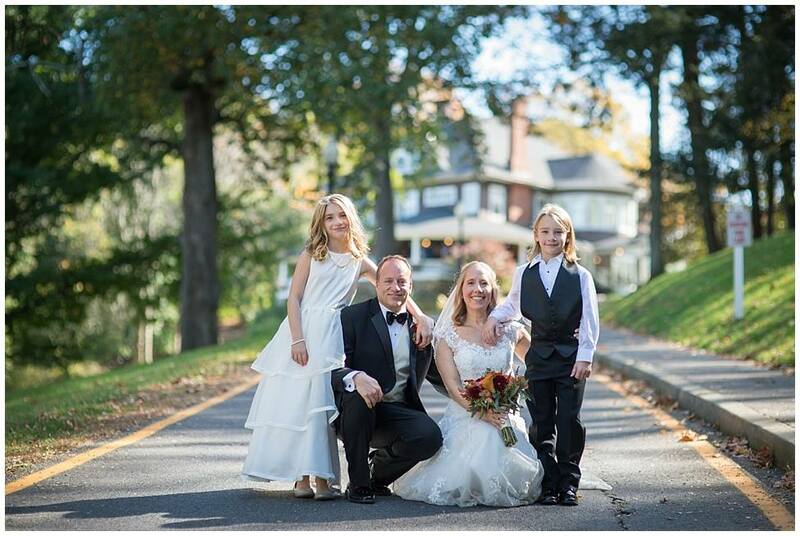 We were able to utilize the mansion as well as some of the outdoor space for photos, and everything came out beautifully. 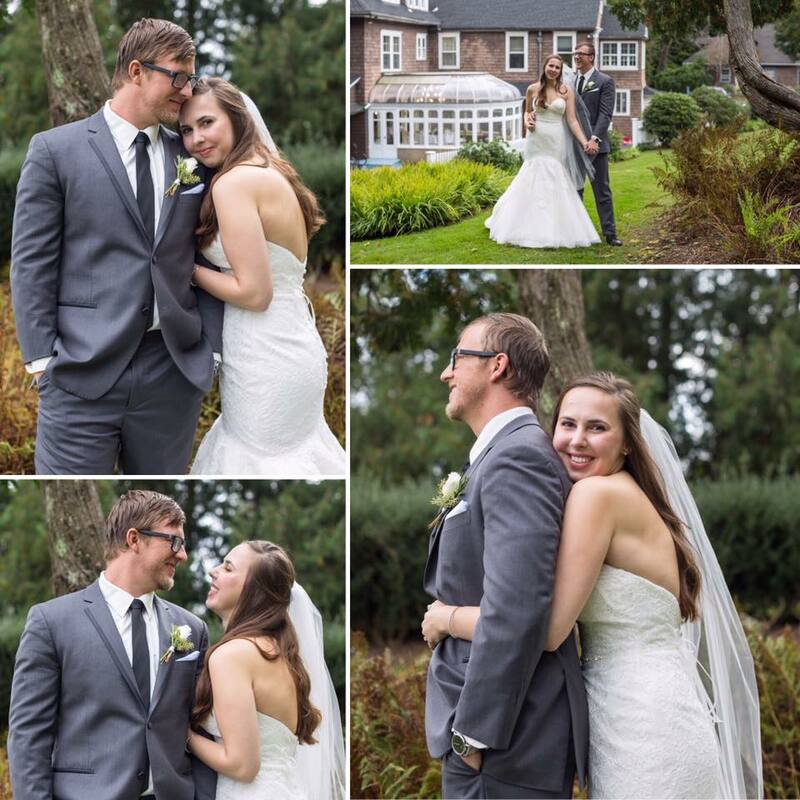 The staff was so helpful and thoughtful throughout the entire process, I can’t say enough about how happy we were! Thank you so much again. Went to the most beautiful small wedding ever. 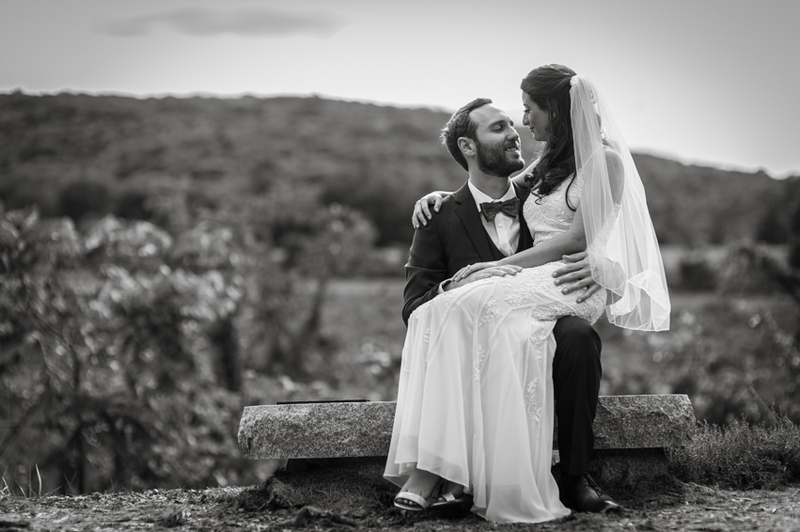 Married in the vineyard. Drinks on the veranda. One of the most stunning sights ever! Anne was very professional and helpful with my wedding planning. I had lots of questions about the venue and she always responded very quickly via email or phone call. Her customer service was ultimately the reason I chose Tarrywile over other venues in the area. The actual venue was breathtaking! The Mansion was vintage and beautiful. The grapevine was well taken care of. Ryan and I would like to thank you for helping us plan our wedding! Working with you, Anne-Marie, helped to relieve so much stress. You are a true professional and it was so nice to work with you! Ryan and I will be sure to share the pictures with you once they become available. Great venue for a great value! We loved having our wedding at Tarrywile. Anne-Marie and her team were very professional and good to work with. Tarrywile was the perfect setting for our wedding! The pictures are amazing and we get asked about the venue from all of our friends. Communication from Anne-Marie was very easy, and she was very patient with all of my questions and jitters. I had my wedding ceremony at Tarrywile on the front Veranda. What a beautiful place, the Mansion and also the park! The staff is very friendly, responsive and courteous. I would recommend this Venue to everyone! Beautiful venue (inside and out). Truly a unique setting with a beautiful, large wrap around porch! Great venue for a great value! We loved having our wedding at the Tarrywile. Ann-Marie and her team were very professional and good to work with. Please note: this was not a wedding but a birthday party. Services were elxcelent. After more than a year of planning, our September wedding couldn’t turn out more beautifully! The grape arbor was the perfect setting for our outdoor ceremony and fortunately, so was the weather. The Victorian architecture spoke of timeless elegance and charm. 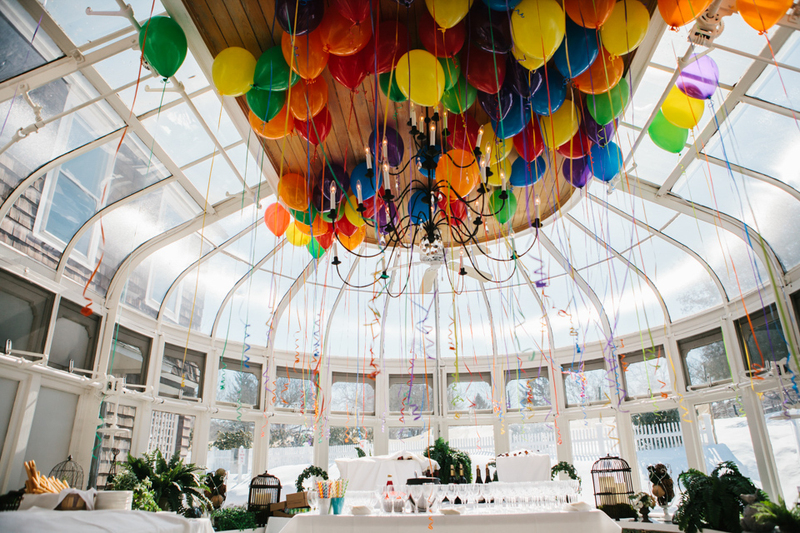 We highly recommend the Tarrywile Park & Mansion as a unique venue for your special occasion. Tarrywile is such a beautiful place to get married. We got married under their grape arbor, had cocktail on their gorgeous front porch and then had dinner inside the mansion. So many people came up to me and told me I made the right choice for our venue and how perfect Tarrywile was for a summer wedding. It was a perfect day! 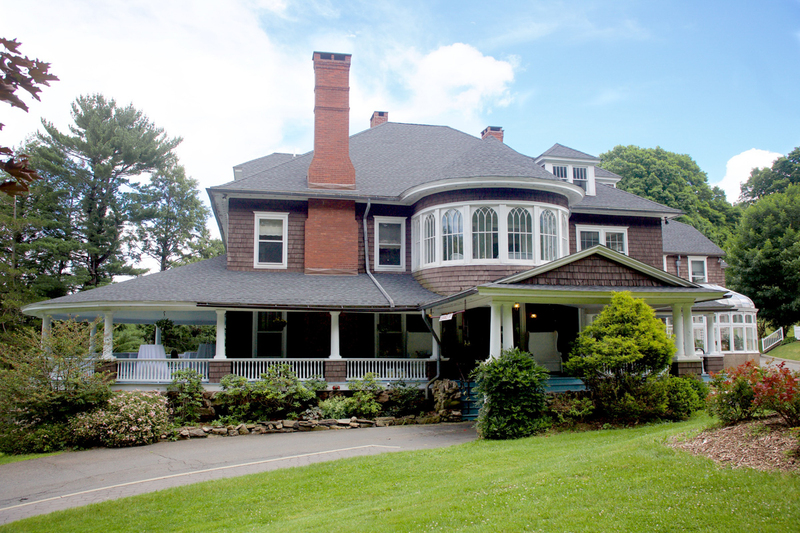 We chose the mansion and park for its beautiful location. The covered porch area was perfect for summer event – we chose to have our ceremony on the porch. 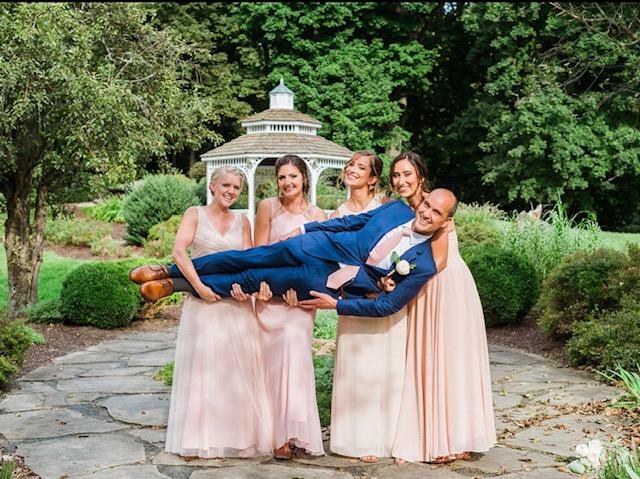 The cater, who had done many weddings at the mansion, made the whole wedding wonderful and worked with the mansion and our requests – we had no problems what so ever. Thank you so much! we loved tarrywile, the whole house felt like a big warm hug all day! and it’s stunning! 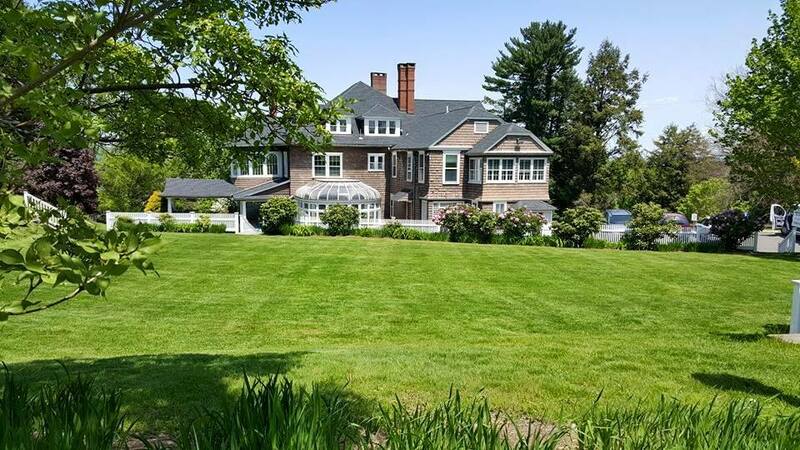 we love historic architecture and this mansion is stunning….all the period details, the house is in perfect condition and it’s just so beautiful! each room is unique and beautiful, and the grounds and gardens are stunning! it makes for the most beautiful photos! becky petro was so amazing and helpful and answered all my millions of questions and emails. we could not love tarrywile more!!! 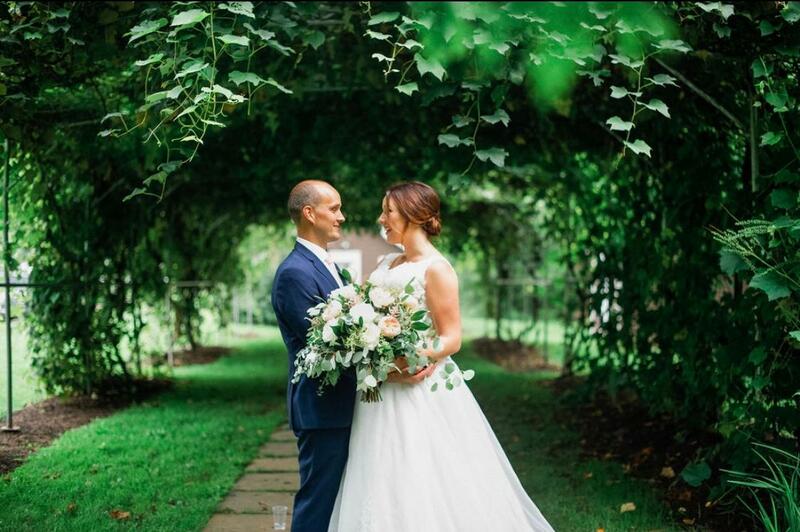 it was perfect for us and we have the most gorgeous photos at tarrywile! This was the perfect venue for us. We were able to have both the ceremony and reception at the mansion. We had the ceremony and cocktail hour on the porch and then moved inside for the reception. We had 60 people, and the mansion was the perfect size for us! Everything was perfect! Such a beautiful place. Everyone was so helpful! We had the most perfect wedding! Tarrywile Park & Mansion is beautiful. They are very willing to work with you and allow you to bring in vendors to suit your own style just as simply as offering ideas of vendors to work with. 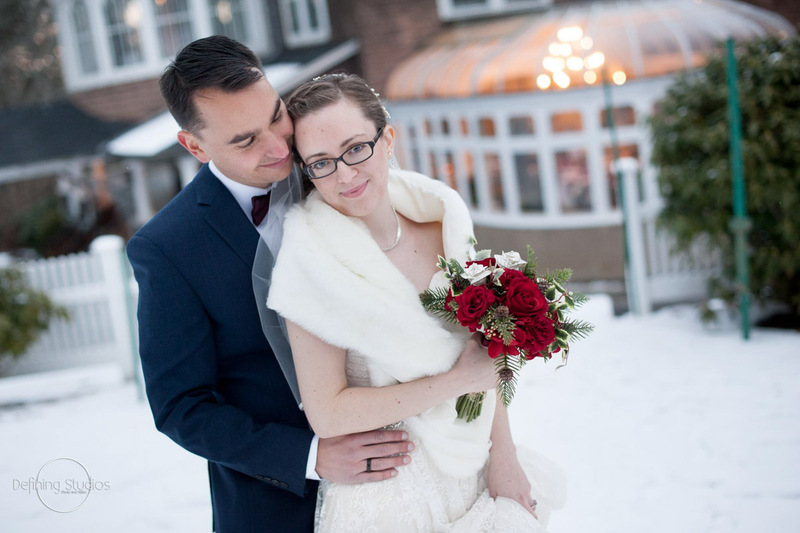 We used the mansion for a winter wedding, and Tarrywile was helpful and accommodating, making sure that the walk ways and driveways were clear and safe and that the rooms were warm and clean. There was someone on site and available the entire day and they were also very flexible with our rehearsal time the night before. It was a joy working with the team. Lovely setting for my mother’s 90th birthday party. Large enough, cozy enough. Now that Peace Camp is over for another year I wanted to take a brief moment to offer my sincere thanks and appreciation to you for participating in this wonderful ARC program. We enjoy having your facility as one of our locations. Each year Peace Camp gets better and better. I consider it “the happiest week of the year”!